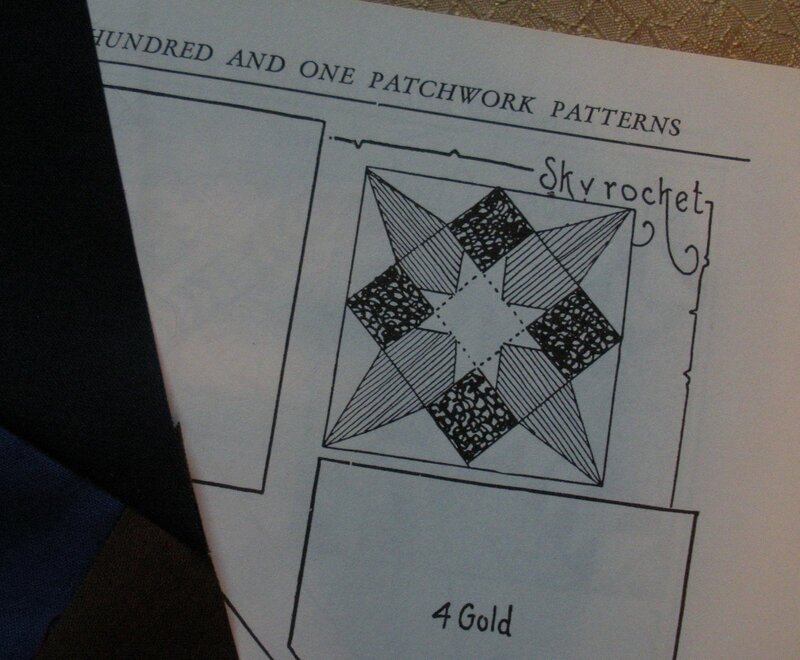 The block is called Sky Rocket, from Ruby Short McKim’s 101 Patchwork Patterns books from 1931. I have a 1962 reprint, which you can still get on Amazon if you follow my link above. I changed the block design ever so slightly, inceasing the star points and dividing the “rockets” in half to give them a 3-D look. I really love the solids that Tine chose, and I’m going to have a hard time sending this off to Copenhagen today! 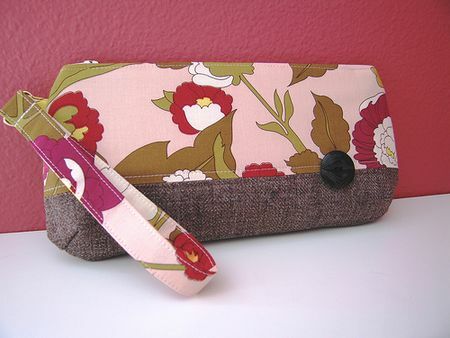 May was a lucky month for me…I won a Wristlet Three Ways pattern from Elizabeth’s Sew Mama Sew Giveaway at Oh Fransson!… The photo above is borrowed from her blog. It’s a gorgeous wristlet bag, is it not?! This is a great pattern, visit her shop to purchase one for yourself. 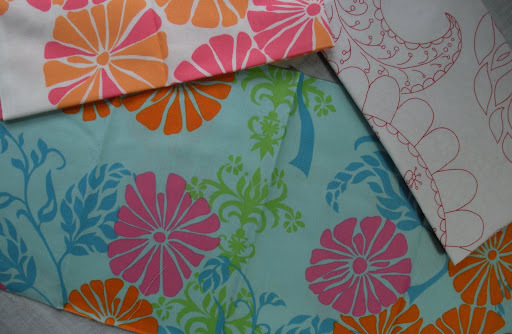 Then, the same week, I won 6 Fat Quarters and a pattern from Kathy’s Pink Chalk Studio Spring Market 2009 Giveaway! They were delivered yesterday and I couldn’t be more pleased! 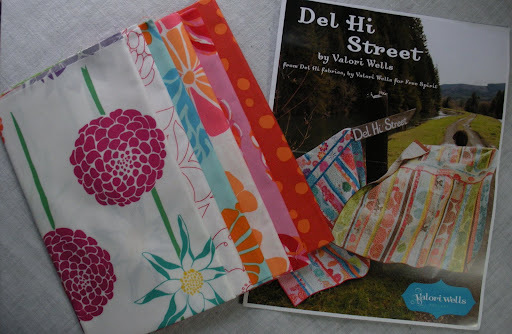 Six Fat Quarters from Valori Wells’ new Del Hi collection for Freespirit. You can view the entire line and download the free pattern here. I love that aqua colored piece above…and the one to the right looks like redwork embroidery, trust me, the photo does not do it justice! I gotta ask – what are YOU doing up at 6:12 AM?! 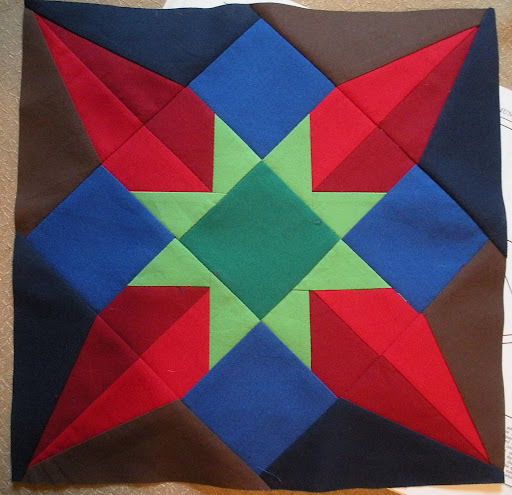 I really like what you did with this block – the solids work well. 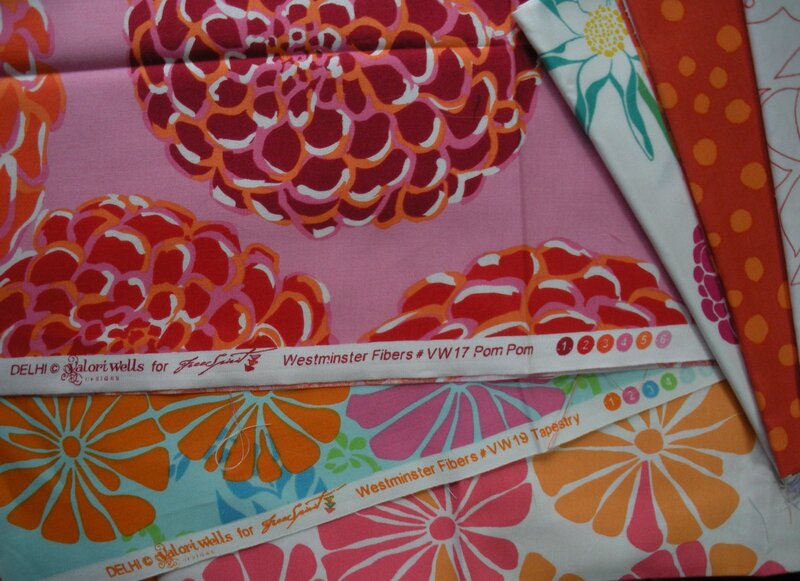 Wow, how lucky that you won that wrislet pattern AND those fabrics – congrats! 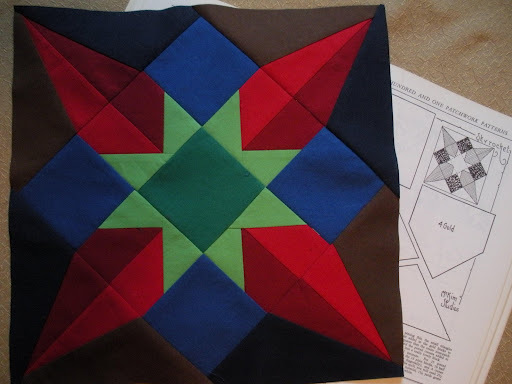 I really love that block – amazing fabric colors!